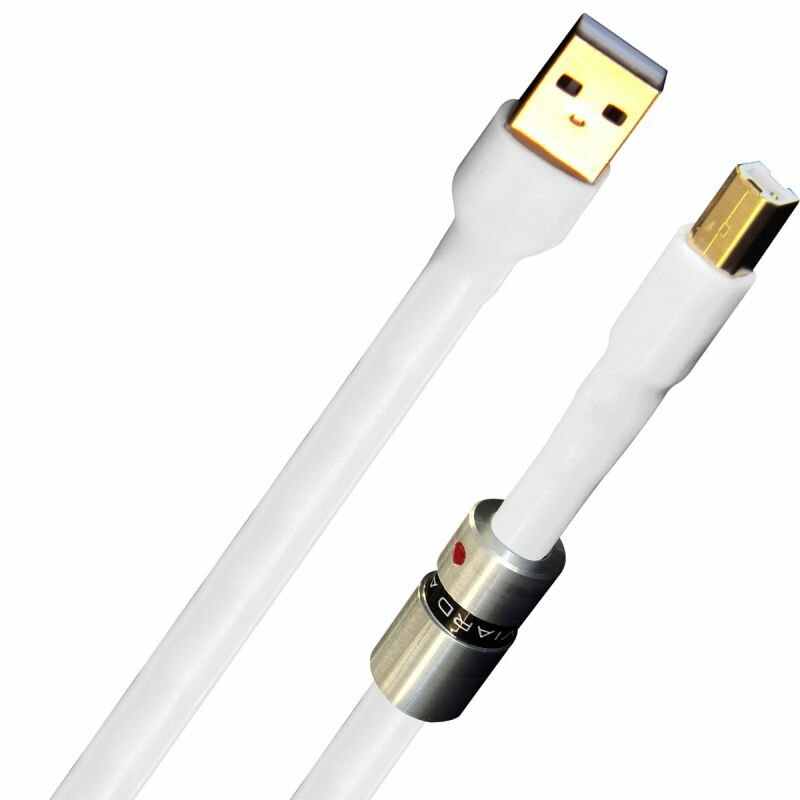 The Viard Audio Silver HD 12 USB cable is designed for audiophile digital audio transmission between a computer and a USB DAC. As a reminder, audio transmission via USB cable requires a high quality cable, the data is not corrected unlike file copies. In case of irregularity or error induced by the cable, the audio signal loses its naturalness, when it is simply not unbearable to listen. Using multi-strand conductors made of extremely pure copper (Cu-VHQ), the Viard Audio Silver HD 12 USB cable takes great care of the signals entrusted to it thanks to a high-performance shielding (polyethylene dielectric). The connection of this cable is particularly neat: professional grade, it has gold-plated contacts and a Teflon dielectric (PTFE) that ensure a perfect transmission of the digital signal. So that all its cables have conductive qualities and a great mechanical flexibility, synonymous with simplified installation, Viard Audio has devised and implemented a unique technique of recrystallizing high purity copper by baking it according to a profile thermal owner. The copper thus obtained, dubbed Cu-VHQ and patent pending, now imposes a new standard of audio quality and flexibility in the world of high-end cables.